Nearly 700 host churches and 200,000 volunteers around the world gave the special needs community the red carpet treatment Friday evening as part of “Night to Shine,” which celebrated its fifth anniversary in 2019. Last year’s event honored 90,000 people with special needs. The annual event honors members of the special needs community ages 14 and older, showing them that they are worthy of God’s love. Social media users shared their best memories of the worldwide prom with the hashtag #NightToShine, with guests showing off their outfits and enjoying a night out on the dance floor. It's prom night across the Triangle as the Tim Tebow Foundation hosts "A Night to Shine" at local churches. 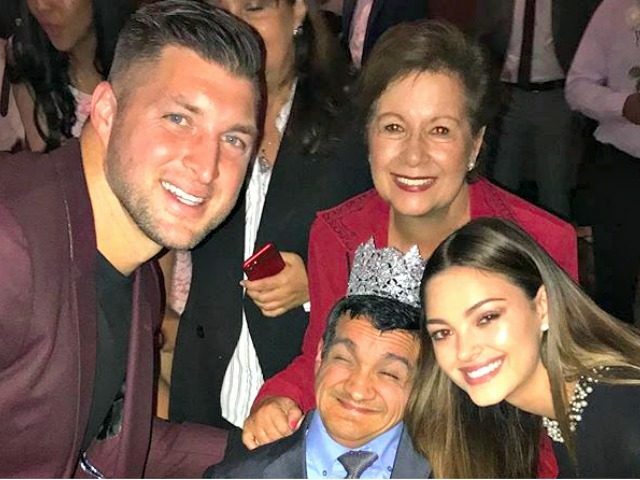 The minor league Mets outfielder and Heisman Trophy winner said this year’s “Night to Shine” event was extra special for him personally because Tebow’s fiancee’s sister, who has special needs, joined him for this year’s event, Fox News reported. Tebow recently got engaged to Miss Universe 2017 Demi-Leigh Nel-Peters. Nel-Peters called the event “a beautiful celebration” of people on this earth like her sister. “I see ‘Night to Shine’ as such a beautiful celebration of the most beautiful people that walk our planet, just like my sister, and I can’t wait to honor more,” Nel-Peters said.